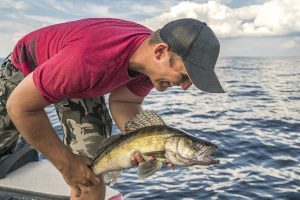 Saginaw Bay anglers trolling and jigging in 10 feet around Spoils Island and about 4 miles out from Linwood caught good numbers of walleye. Boat anglers did fair for walleye between Quanicassee and Fish Point. No reports on perch. 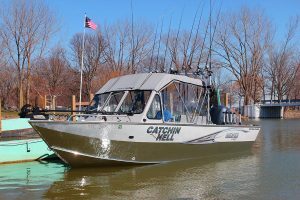 Some were targeting bass for the catch-and-immediate-release season but catch rates were slow with only a few smallmouth taken at Caseville. 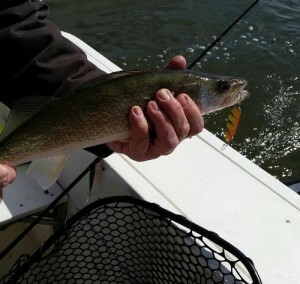 Tittabawassee River walleye opener was very good however with warmer weather, the fish will be moving out to Saginaw Bay. 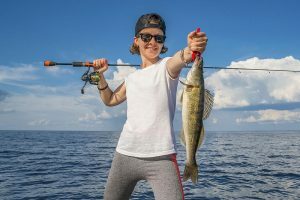 Limit catches were taken near the Center Street launch as well as upstream and downstream when vertical jigging or trolling with jigs and body baits, but no live bait. The area upstream from Gordonville Road and up near the Dow Dam were slower but if anglers worked at it, limit catches were a possibility. Most were using gold, orange or fire-tiger twisters, body baits, rapalas, crawlers or minnow parts. Freeland was somewhat slower. The best action was around the bridge on Tittabawassee Road. Saginaw River anglers caught walleye when trolling and jigging from the mouth to the Coast Guard Station and near the Independence Bridge. No perch to report. 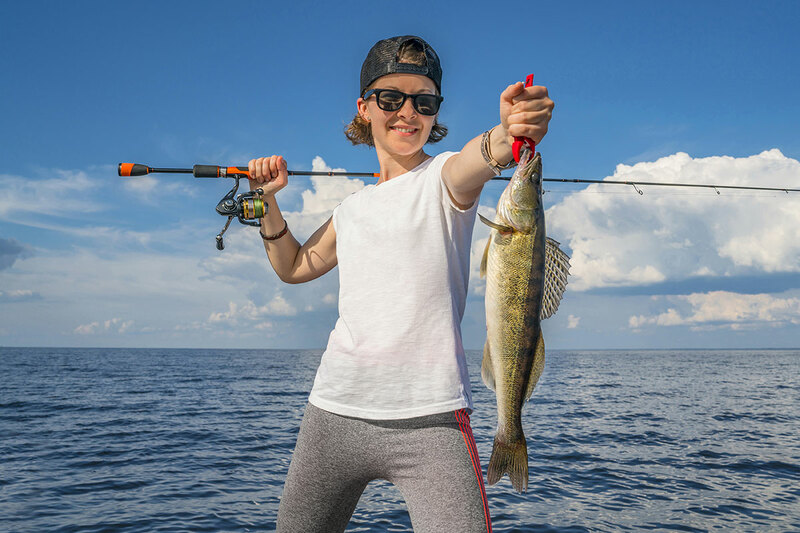 Au Gres Area had good walleye fishing with limit catches reported by those using husky jerks and body baits in 18 to 20 feet. Au Gres River anglers caught a few salmon, brown trout and steelhead although not the target. There were rumors of steelhead and walleye caught in the surf near the Singing Bridge. 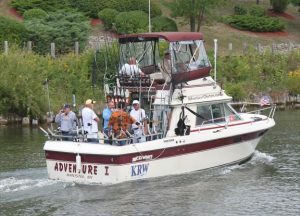 Oscoda pier fishing has started to pick up for steelhead, lake trout and walleye. Early morning and late evening were best but midday catches have also been recorded. Body baits, spoons, minnows and crawlers are all working well. Au Sable River steelhead made their way up river and the females are on the beds. Most of the fish are silver and fresh, and the males should follow. Try drifting body baits, fly’s and spawn. Brown trout and some brook trout were also caught. Tawas Area was producing some limit catches of walleye for those trolling around Buoy #2. Walleye and lake trout were caught by those jigging off the artificial reef. Pier anglers caught Atlantic salmon or pike during the day and walleye at night. Smallmouth bass were caught and released. 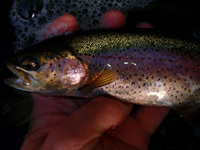 As anglers across the state are headed out to target trout on their favorite rivers and streams, many will become frustrated when fish occasionally ignore the fly being offered. Michigan Outdoor News suggests not selecting a completely different fly for your next cast, but rather choosing a fly with a slight color variation from the one you just cast. 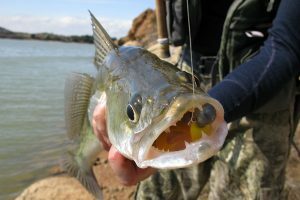 It’s been noted that often just a slight color variation can tickle a trout’s fancy and encourage a bite. New to the sport of fly fishing and not sure where to start with flies? Find out all you need through the DNR’s How-To Go Fly Fishing website!